We’re almost a month and a half into 2019 and we have yet to have a proper Nintendo Direct for 2019 to show us what we should be looking forward to this year for Nintendo Switch(Sorry 3DS, you’re pretty much done.). It’s not that we don’t know a few of the games slated for release in 2019, but their release dates are so vague and we know so little about them that it’s difficult to get too hyped. And in the case of Fire Emblem, currently one of Nintendo’s biggest 2019 releases, we had one trailer last E3 and that was it, nothing since. 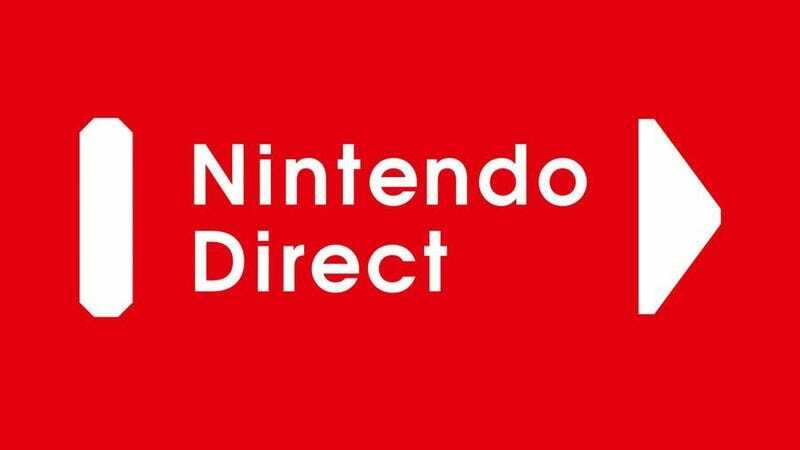 And now, about a million rumors are cropping up about a Nintendo Direct dropping fairly soon. The biggest rumor comes from King Zell, a know Nintendo leaker whose track record, to my knowledge, is spotless, they’re always right. They said on February 8th that “13 is your lucky number” and dropped the mic, then came back a bit later to say “MPT(Metroid Prime Trilogy) will likely be in the Direct, Pikmin 3, Pokemon, and Box Boy coming in 2019(Zell did not say whether these would be in THIS direct or shown later. Pokemon we already knew about obviously.). Now, when Zell says “13" the general assumption is that they mean this upcoming Wednesday, February 13th, but Zell also could have meant 13 days from when they posted which would be February 21st, a Thursday, and Thursdays are generally when Nintendo Direct’s drop. Regardless of which it is, a Direct will happen eventually. The point of this article is to do what I do best: speculate on rumors and give my best guesses, get my hopes up, and then be disappointed later. So lets get this show on the road! Nintendo’s relationship with the Pikmin series is a strange one. Going all the way back to the GameCube, Pikmin 1 was a fun, but difficult game. So they made Pikmin 2 easier, but Miyamoto didn’t like it as much. Years later we got Pikmin 3 on the Wii U, two console generations later. I loved Pikmin 3, but since then news about a Pikmin 4 has been elusive and we got... Hey! Pikmin... on 3DS, and the less said about that game the better. A week or so ago, known Nintendo leaker Emily Rogers left a post claiming that Nintendo had at least 5 unannounced games for this year alone, possibly as many as 11 to 12 titles. One of those she stated was a port of a 2013 Wii U title. Well, Pikmin 3 was released in 2013, but so were Super Mario 3D World, Wonderful 101, and Wind Waker HD. Common sense would say that any of those titles would probably be more likely than Pikmin 3. However, King Zell specifically outed Pikmin 3, which given his track record, ups the odds significantly. Nintendo could be doing this for any number of reasons. Obviously, Wii U games are stuck on a dead system and can find bigger audiences on Switch, giving it a second chance at life. It could also be a stopgap title until Pikmin 4 is ready. They might even be testing some things using Pikmin 3. Whether or not HD remasters of Pikmin 1 & 2 would be included is up for debate. As for whether or not Pikmin 4 will be revealed, it has been in development for at least a few years by this point, so its not too farfetched. It probably wouldn’t be a bad idea to announce that Pikmin 4 is coming after the announce a port of Pikmin 3, just to keep fans from thinking that this is all they’re getting. Games like Zelda: Breath of the Wild take a lot of time to make. Games like Zelda: A Link Between Worlds do not take as much time. Top down or 2D Zelda titles also have their fans, so releasing one of these titles to tide fans over until the next big 3D game is a smart decision. There have been rumblings about the possibility of a 2D Zelda for Switch for at least a year now if not more, so Emily Rogers saying there is one doesn’t come as a surprise. What it will be called or how it will play is up for debate. Heck, it might not even be in this Direct, she never said it would be, just that it’s set for this year. But considering this Direct should set up our expectations for 2019, it stands to reason that it has good odds or being in the Direct. Two years ago The Pokemon Company and Nintendo announced that a full-fledged Pokemon RPG would be coming to Switch. The Let’s Go games from last year were not the same games they referred too. The games releasing this year, however, are. The Pokemon Company and Game Freak have talked up how different these games will be to what came before, both graphically and in gameplay. Fans are practically frothing at the mouth to finally see these games in all their glory. Mainline Pokemon titles have, as far as I can see, been revealed earlier in the year around this time. Although, they normally get their own Direct. This upcoming Direct could tease the full reveal of the games coming in a different Direct, say, next week. I’ll take that because it gives me something to look forward too next week. If not, then we’ll just have to keep waiting, but it shouldn’t be much longer and now seems the perfect time to do so. Out of all the games we already know are releasing this year, Fire Emblem is one of the most high profile titles next to the new Pokemon. Originally the game was slated to release in 2018, but when it was finally revealed at E3 2018 it was given a new release date of Spring 2019. Spring is fast approaching and with no word since E3 many fans have begun wondering if the game was delayed. However, it was recently revealed that the game is still slated for Spring 2019. A full release date will likely be dropped during an upcoming Nintendo Direct along with more gameplay and story details. When a new Luigi’s Mansion title was revealed for the Nintendo 3DS I was extremely disappointed. If one ever came out I was expecting it to be for a home console, ya know, like the original game. And then they remade the original game for 3DS also which frustrated me to no end. But hey, at least we’re getting Luigi’s Mansion 3 for Nintendo Switch, because that totally makes sense when the rest of the series is now on 3DS. I’m not complaining, mind you, I’m very happy that it’s coming to Switch, and we’ll likely hear more about it in the next Direct. Kind of hoping they announce remasters of the original and Dark Moon for Switch to go with it. This one I’m a bit iffy on. On one hand all we got last year was an announcement that the game was coming in 2019. No title, no gameplay, nothing. So it would make sense to show off something from the game, but I get the impression that it’s a late 2019 title and so Nintendo might hold off a little bit longer and give it a blowout at a later date. That might enrage the Animal Crossing fans though considering how rabid they can be. When Metroid Prime 4 was announced for the Nintendo Switch, everyone began clamoring for a port of Metroid Prime Trilogy to prepare. By June of this year it will have been two years since the begging began and as of right now we’ve only heard rumors that the port exists. Many have claimed that it’s actually already done and Nintendo has just been sitting on it. If that is indeed the case, they could drop it onto the eShop right after the Direct, or if it’s getting a physical release, give it a month or two. This is the one game that King Zell was almost certain would be in this Nintendo Direct, and it make sense. With Metroid Prime 4 having been rebooted, releasing this as soon as possible would be a smart move for Nintendo. The question I have is: Will it be a simple port of the Wii version that’s been uprezzed with reworked controls and puzzles to accommodate the Switch’s lack of Wii-style motion controls? Or will they do plenty of graphical touchups to make these games look brand new in 2019? Personally, I like the sound of the latter. And those are really just the big Nintendo games I could see being in the Direct. Rumors point to Spyro and Box Boy also getting announcements during the Direct. The first gameplay of Joker for Smash Bros. might be shown along with a formal reveal of Dragon Quests Erdrick. There will be probably be a few small 3DS games revealed and some third party Switch titles to round out the release schedule for the year. Hopefully we’ll also hear more on Daemon x Machina from Marvelous. Personally, I’d love to get an F-Zero announcement. Shin’en Multimedia, the developers behind Fast RMX, seem like the perfect fit to breath new life into the F-Zero franchise. But that’s a dream for another day. Is there anyone you think won’t be in the Direct? Anything that you think will be that I didn’t mention?